Newlyweds talked to us about how long they saved up, what the most expensive thing was and whether one should take out a loan to celebrate the occasion. 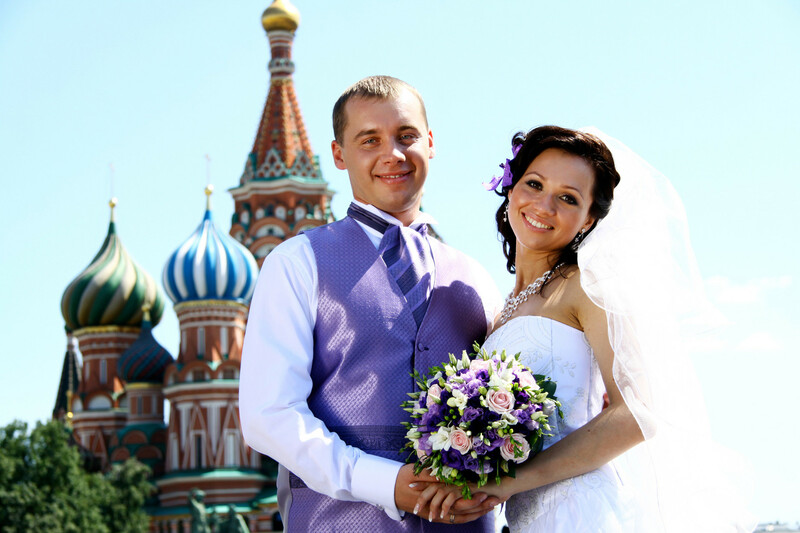 An average wedding in Russia consists of registering at a ZAGS (the Marriage Registry Office), then an outdoor photoshoot with some beautiful scenery or landmarks, and finally, a massive dinner celebration at a restaurant. An application can be filed no later than one month in advance. Strictly-speaking, there’s only one necessary step officially - the state tax (in 2019 it rose to 350 rubles, around $5). 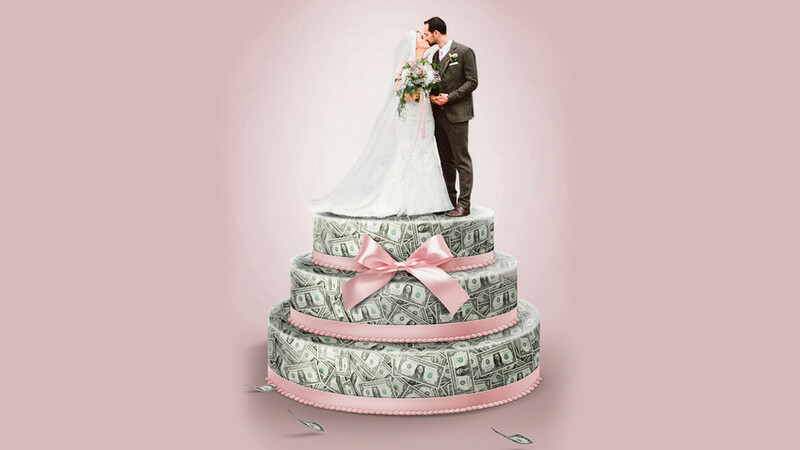 All other expenses depend on what the newlyweds can afford: some go for lavish old mansions, others opt for a wedding agency (about 10 percent of the total cost of the ceremony), while others still opt for a modest dinner with friends and relatives. 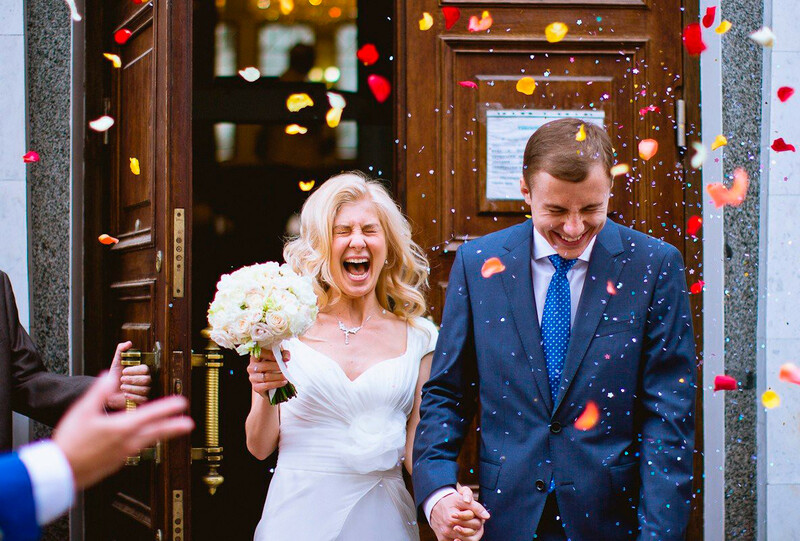 We asked several average-earning couples to gives us the lowdown on what they’d spent on their weddings. Tim is a U.S. journalist who married a Russian in 2009. The wedding was held in Moscow. First thing the newlyweds did was rent a large van to drive around town and take pictures. “We mostly did Red Square because my wife thought that is what my family would like to see, and she was correct”, Tim remembers. The entire affair ran the couple about $3,000, including the rings. Julia moved to Yekaterinburg from Moscow to be with her boyfriend, who was working there. They decided to hold the wedding in the Urals capital in 2018. Only a close circle of friends and family was in attendance. “Our parents wanted a real banquet and offered to pay, but we wanted to do everything ourselves,” says Maria, who married in 2015. Registration and dinner for 30 were held at Griboyedovsky marriage registry - the most famous spot to tie the knot in Moscow. “The whole affair cost us 70,000 rubles, which included music, a photographer and dinner,” she adds. Another 10,000 ($155) was spent on a retro-styled limo, and about the same amount on various other things. Hair and makeup were 7,000 ($110). The wedding took three months to plan, and the only thing Maria had to save up for was the wedding dress, which was tailor-made from high-quality cotton. Maria won’t say the exact price, but says it was more than 50,000 rubles ($775). She’s planning another photoshoot with it in future. 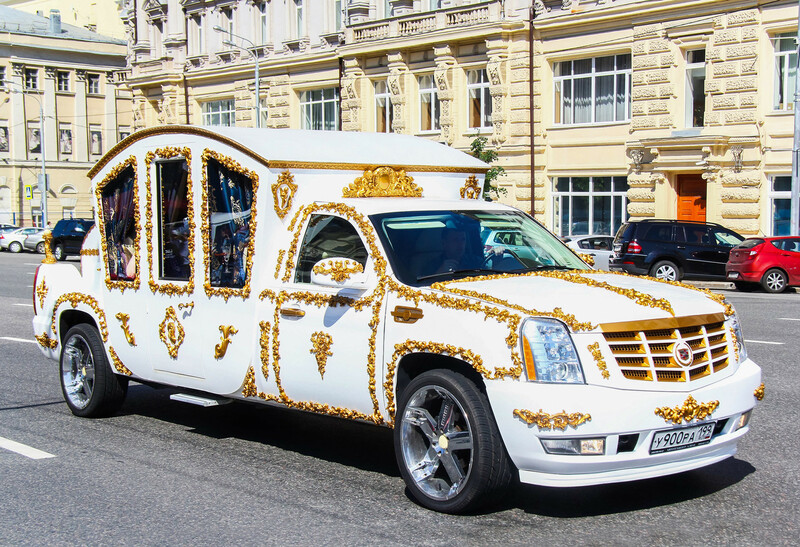 The wedding lasted for two days during the summer of 2018: first the traditional signature exchange at Griboyedovsky, then a fairy ride down the Moscow for the newlyweds. The second day the party moved to a country club in the suburbs. The tent cost about 120,000 rubles ($1,850), a 70-person banquet at 5,000 rubles each ($77), and the dress was more than 30,000 ($460). “I deliberately went for a non-traditional, milky hue, so as to be able to wear it on other occasions”, Yekaterina says. Different options were discussed, ranging from a trip to Sochi to just a country club. In the end, by complete accident, as they were taking a walk around VDNKh, they spotted a recently opened restaurant with beautiful panoramic windows not far from where the ceremony was to be held, and decided it would be perfect. “I had hoped to limit the cost to 200,000 - maybe a maximum of 300 - so, we didn’t save up especially, just paid it all out in instalments. If someone had told me that we’d be spending upwards of half a million rubles, I’d have cancelled the whole thing,” Anna says. In the end, the dinner for 30 came up to 220,000 ($3,400), as well as a cake - which was an additional 20,000 ($300). The parents helped with the dress, which was 50,000 rubles ($770) - it came from a small Moscow atelier. And the groom’s jacket was another 30,000 ($460). “The decor was done by a friend - and cost about 30,000,” she says. The host and DJ cost the couple 55,000 rubles ($850), the photographer an additional 50,000 ($770). Hair and makeup were 15,000 ($230). The remainder was spent on various random things, including a photoshoot and a see-through umbrella.